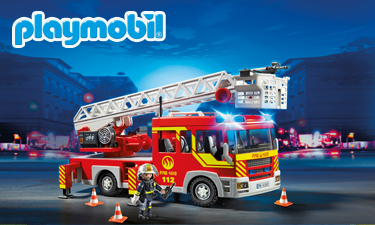 Playmobil is a successful brand of toys with a proven sales history and market share statistics of over 40 years. Developed in the mid-1970s the toys were designed to fit into a child’s hand and be the right balance of firmness and flexibility to allow for creative play. The signature Playmobil toy is 7.5 cm tall with a 1:24 scale, with the human figure featuring a particular cherub-like smiling, similar to a child’s human interpretation through drawing - a large head, a big smile, and no nose. A wide range of themes are available from rescue services right through to fantasy, and include a variety of price points within each through the individual toys. Especially notable is the fine attention to detail within the vehicles and inclusion of modern elements such as electronic lights. New toys and themes are continually developed by a 50-strong development team and are purchased not only for kids but by the growing collector community. The Playmobil toys whilst developed for free-form play are also used for creation of photo stories and stop motion films to decoration. A fantastic selection of Playmobil toys available wholesale at Baby Brands Direct to trade can be seen on this page. The range of Playmobil activities are a brilliant, niche addition to the toys selection available wholesale at Baby Brands Direct for trade customers to purchase from. They encourage a free form of play that allows kids to develop their own creative stories, communicate and act out their own imaginary scenarios that is so important to a healthy development. The brand is internationally respected for its high quality figures and realistic playsets that are kept current and make for a perfect partner for retailers to offer. The Playmobil 1.2.3 range is perfect for younger kids from 1.5years of age with the toys being slightly bigger, brighter and rounded for smaller hands while allowing them to develop and learn through this play. The rest of the Playmobil range distributed by Baby Brands Direct is suitable from 4yrs to a recommended 10years of age.